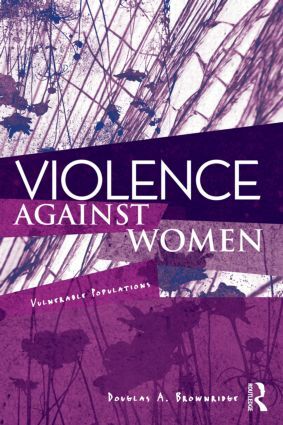 Violence Against Women: Vulnerable Populations investigates under-researched and underserved groups of women who are particularly vulnerable to violent victimization from an intimate male partner. In the past, there has been an understandable reluctance to address this issue to avoid stereotyping vulnerable groups of women. However, developments in the field, particularly intersectionality theory, which recognizes women’s diversity in experiences of violence, suggest that the time has come to make the study of violence in vulnerable populations a new sub-field in the area.